BACK IN STOCK!!! 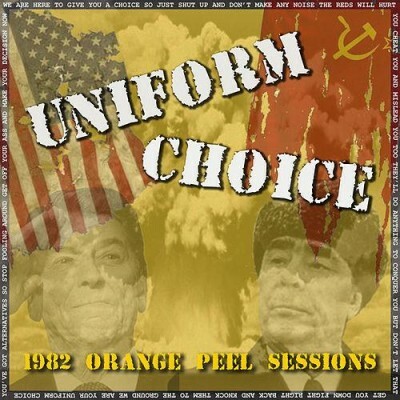 Uniform Choice originally formed in 1982 in Newport Beach, CA and in September 1982, recorded these four tracks known as the "Orange Peel Sessions". This era of the band did not feature the members that played on the "Screaming For Change" record and is indeed a very different sounding band with a style much more akin to the Orange County beach punk at the time or late-'70s UK bands. This 7" still serves as an important documentation of one of OC's best bands at their infancy as well as a snapshot of that time and scene in general.